The award winning Trevor James 10XCDE IV Flute (with straight and curved headjoint) is a quality beginner level flute. This model enables student players to create a responsive and attractive sound at a faster pace. 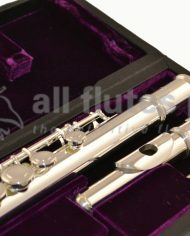 The award winning Trevor James 10XCDE IV Flute-Including Curved and Straight Headjoints is a quality beginner level flute. This model enables student players to create a responsive and attractive sound at a faster pace. The 10XCDE IV model flute is supplied with both a standard straight headjoint and a curved headjoint, which effectively shortens the flute’s length to accommodate a younger players limited reach. The Trevor James 10XCDE IV Flute is a durable and well-built instrument. Trevor James have spent over 30 years finely honing the design, manufacture and quality of finish to their flutes. All Trevor James Flutes are finished in their Kent-UK based workshops by experienced technicians. Instrument is supplied in a sturdy wooden case with padded case cover with shoulder strap. 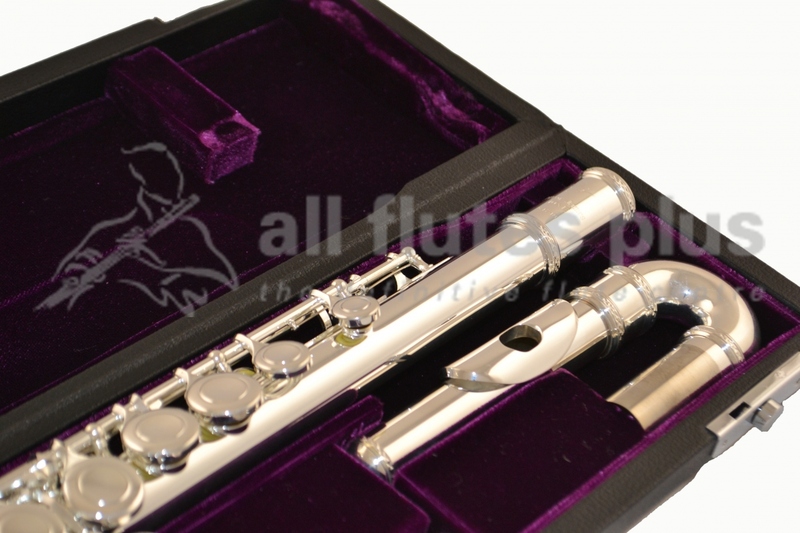 All Flutes Plus will endeavour to dispatch your order by return and availability of stock, if received before 2.30pm.